The bankruptcy discharge means freedom from debt. That's my son, Max. The general objective in filing a consumer bankruptcy is to eliminate debts. At the conclusion of a Chapter 7 or Chapter 13 bankruptcy case, the consumer receives a discharge. The bankruptcy discharge releases the debtor from personal liability for most debts. That means the consumer is no longer legally required to pay these debts. 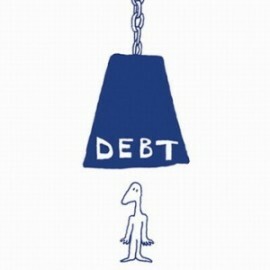 Certain debts are non-dischargeable such as most taxes, student loans, alimony, child support and traffic tickets. The discharge comes at the conclusion of the bankruptcy case. For Chapter 7 filers, that is typically about three and a half months after the bankruptcy petition is filed. For Chapter 13 filers, this typically occurs a month or two after the Chapter 13 payment plan is completed. The actual discharge is in the form of a permanent court order, signed by the bankruptcy judge assigned to the case. The Bankruptcy Court sends a copy of it to the debtor and all creditors and parties listed in the petition. The order of discharge prohibits creditors from taking any action to collect a debt. This means that it becomes forever illegal for creditors to phone the debtor, send collection letters, sue the debtor or take any other action to collect the debt. If a creditor has a secured debt, such as a mortgage or car loan, the creditor is still prohibited from collecting the debt. However, the creditor has the right to recover the collateral. 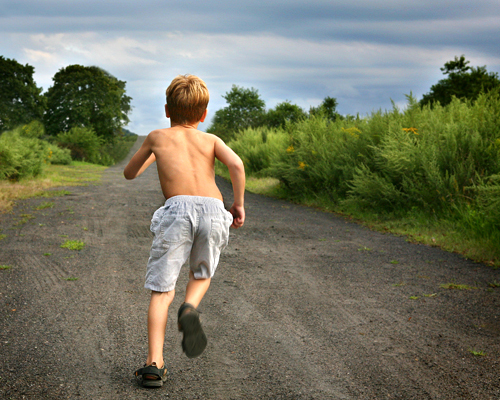 About the Photograph: This is one of my fine art shots of my son, Max. 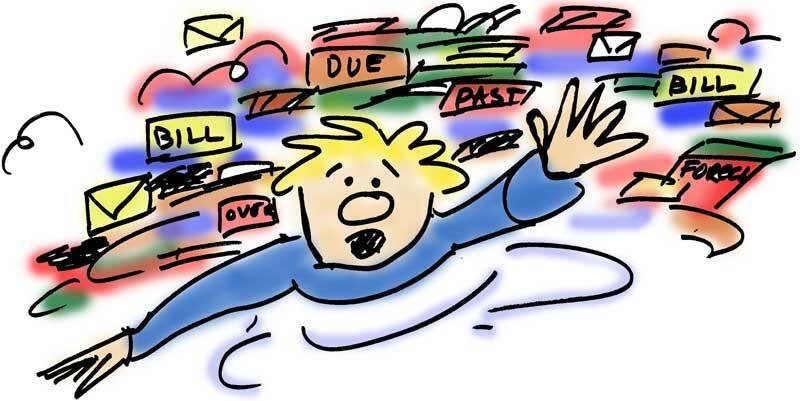 One of the most important features of any bankruptcy filing is the automatic bankruptcy stay. This is the very powerful federal law that prevents any creditor from taking any action to collect a debt once any bankruptcy case is filed. It goes into effect immediately upon the filing of any bankruptcy case. When it comes to tax debt, the automatic stay requires tax authorities to stop collection activity and release any tax levies. When a consumer files for Chapter 13 bankruptcy relief, the stay also protects any other individuals who are also obligated on the debt, even if they did not seek bankruptcy relief. This is set forth in Bankruptcy Code section 1301. Thus, if a husband files for Chapter 13 protection and the wife does not, and the husband listed a credit card debt that they both signed for, then the bankruptcy stay protects both of them from collection efforts — even though the wife did not file. The co-debtor stay only exists in Chapter 13 cases — not in Chapter 7 cases. However, this protection only applies to “consumer debts.” Fortunately, the definition of consumer debts include almost all debts that the typical consumer would schedule in their bankruptcy petition — credit card obligations, car loans, mortgages, and medical debts. The Bankruptcy Code does not define consumer debts to include tax debts. A consumer debt is a debt “incurred by an individual primarily for a personal, family, or household purpose.” Most bankruptcy court decisions have held that tax debts are not consumer debts. Thus, the co-debtor stay does not protect a non-filing spouse from efforts of the IRS or New York State Department of Taxation to collect the tax debt. Of course, the bankruptcy stay does protect the party who files for bankruptcy relief; it just does not protect anyone else from collections on joint tax debt. Since taxes are not considered consumer debt and there is no co-debtor stay for tax debt, serious thought should be given to including both spouses in a Chapter 13 filing when the joint tax debt is substantial. The Long Island law firm of Korn & Spirn has had more than its share of woes this year. In March, partner Jay Korn of Rockville Centre committed suicide at the age of 70 by jumping to his death. He shared aHempstead law practice with Arthur Spirn for more than 30 years in a firm known as Korn & Spirn. He jumped off the roof of the Hempstead office building where he maintained his law practice, landing on an awning eight stories below. That Wednesday morning in March he died about half an hour later. The big news after the suicide was that it appeared that Korn defrauded dozens of clients out of millions of dollars in a Ponzi scheme. Nassau County District Attorney Kathleen Rice began investigating him the day after he killed himself. A large number of clients immediately filed complaints thereafter. Garden City attorney Jerome Resiman, who is representing a number of the alleged victims, called Korn “a mini-Madoff,” according to news reports, and said that Korn promised 15% annual returns on investments. As of April, there were close to a hundred complaints from victims alleging that Korn defrauded them out of about $30 million. In news reports from that time, The District Attorney’s office commented that neither the firm nor Korn’s partner, Arthur Sprin, were under investigation. The petitioning creditors are Steve Prince of New York, represented by Thomas J. Perkins, Esq., who claimed he was owed $600,000; Lewis J. Rubin of New York, represented by Herbert Kramer, Esq. of New York, who claimed he was owed $2,565,000; and Ahron Glambosky of East Meadow, represented by David Grill, Esq. of New York, who claimed he was owed $1,250,000. That’s a total of $4.4 million in claims for three creditors. It appears that these creditors were victims of the Ponzi scheme as they indicated that the nature of their claims were funds entrusted for investments and real estate purchases. It was unclear, however, whether they were alleging that the firm had any involvement in Korn’s alleged Ponzi activities other than financial liability. The creditors served the involuntary petition papers upon Arthur L. Spirn, P.C., the new law firm of the surviving partner, who moved his office to Garden City after the suicide. The actual involuntary bankruptcy petition was rather short, consisting of only two pages and no schedules. When creditors feel that their funds may have been diverted or embezzled, they have several options. They can litigate in state court or they can force the debtor into bankruptcy, which can often enable the litigation to proceed at a faster pace before a trustee who has considerable legal authority. One of the powerful remedies a trustee in a bankruptcy case has is the ability to recover payments or wrongful transfers that the debtor made. Once the court appoints a trustee, the trustee has the right to thoroughly examine the debtor and hold the debtor accountable. However, the trustee can also pursue other parties as well if the debtor transferred funds or valuable assets to those parties without receiving reasonable value in return.. In order to force a debtor into an involuntary bankruptcy, there must be at least three petitioning creditors who are owed at least $10,000 combined. The petitioning creditors must also be able to allege that there are no fewer than 12 creditors overall. In addition, the claims cannot be subject to a bona-fide dispute. After the petitioning creditors file the involuntary bankruptcy petition, the Bankruptcy Court issues a summons that the debtor has 20 days to respond to. In the Korn & Spirn case, Judge Eisenberg issued the summons today. 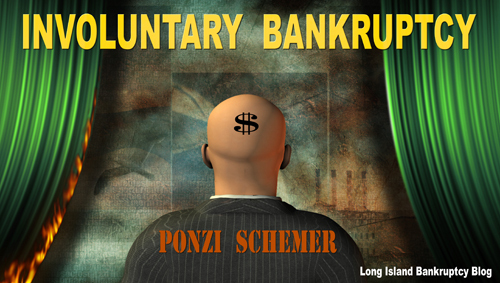 The victims of Ponzi schemes often use involuntary bankruptcy proceedings to protect their rights. This is the case with Agape World and Bernie Madoff. Earlier this week I attended the 2010 Bankruptcy Roundtable at the Nassau County Bar Association. One of the interesting presentations that night was given by David Mahoney, Esq. about issues that arise in bankruptcy proceedings involving debtors who had engaged in illegal Ponzi Schemes. David is an associate in SilvermanAcompora, the firm of Chapter 7 Trustee Ken Silverman who is presiding over the bankruptcy case of Agape World. I wrote about that case previously — Ken Silverman Appointed Chapter 7 Trustee in Agape World Case . Judge Eisenberg is also the judge in the Agape World case. She will certainly become a judicial expert in Ponzi schemes. What is a Motion for Relief from Stay in Bankruptcy Court? When you file for bankruptcy relief, a very powerful federal law immediately goes into effect, called the automatic stay. This is the law which makes it illegal for creditors to take any action of any kind to collect a debt. This is how you get debt relief when you file for bankruptcy. It is against federal law for creditors to violate the stay. This means that any litigation comes to a grinding halt. However, in certain situations, creditors have the right to ask to bankruptcy court to “lift the stay” which is done in a “motion for relief” from the stay. Under What Circumstances Do Creditors Bring Motions to Lift the Bankruptcy Stay? Motions for relief are often brought by mortgage companies and lenders when a homeowner files for Chapter 7 bankruptcy relief and is behind on the mortgage. Automobile lenders also bring such motions when debtors are in arrears on car loans. In Chapter 13 bankruptcy cases, lenders bring such motions when the debtor fails to stay current with post-petition obligations. If the Court grants a motion for relief, it enables the creditor to continue where it left off in its efforts to collect on a debt or foreclose on a house. Creditors must bring a motion to lift the stay and be granted relief before engaging in any further collection activity. If they do not, then they can be severely penalized. See: What Are Your Rights If a Creditor Violates the Automatic Bankruptcy Stay? When Are Motions For Relief Brought In Typical Consumer Bankruptcy Cases? Although some creditors will rush to file a motion for relief from stay within days of the bankruptcy filing, most creditors do not act that fast. In a typical Chapter 7 case, even if the debtor is extremely behind with mortgage or car loan payments, it will often take the lender 30 to 60 days before bringing such a motion. 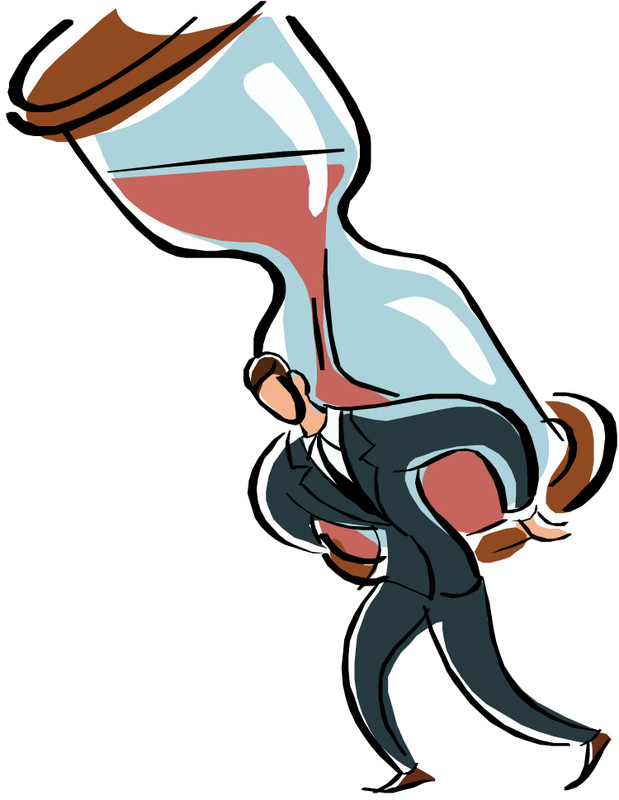 How Long Does It Take for the Bankruptcy Court to Grant Relief from the Stay? Once a motion for relief is brought, the debtor must be given the opportunity to defend the motion. Thus, the hearing on the motion will usually not occur until several weeks after the motion is brought. If the debtor does not defend the motion, which is usually the case, the court will grant the motion. However, some bankruptcy court judges will not sign the order lifting the stay until the creditor serves (“settles”) a proposed copy of the order on the debtor and the debtor’s attorney. Most bankruptcy courts, including ours on Long Island, have stiff rules that creditors must adhere to when bringing a motion for relief. If they do not, the Court will either dismiss the motion or adjourn the hearing. Up until recently, most creditors had a much easier time of bringing motions for relief, as many bankruptcy judges permitted them to do this on a “Notice of Presentment” — a method of getting the order granting the motion without having to show up in court if the debtor didn’t put in a defense. However, most bankruptcy court judges in our jurisdiction have begun to require creditors to show up in court on motions for relief, and no longer permit them to seek relief through a Notice of Presentment. I wrote a lengthy article about this five years ago — Defending Motions to Lift the Stay . Almost all of the principals that I discussed in that article still apply. Chapter 7 Bankruptcy: This is the most common and simplest type of bankruptcy and the one most utilized by consumers. Chapter 7 gives a debtor the opportunity for a fresh new financial start by discharging most debt, such as credit card debt and medical bills. Over 99% of Our Long Island Chapter 7 Bankruptcy Clients Eliminate All of Their Credit Card Debt . 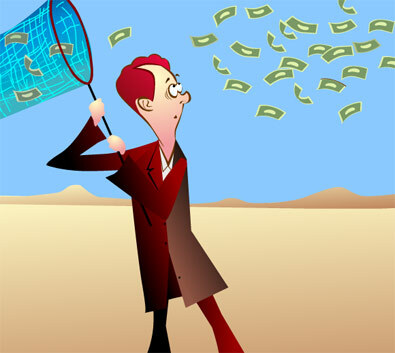 Most assets are protected, but if the consumer has a lot of assets, such as more than $100,000 of equity in a home, then Chapter 7 would not be the best choice. Bankruptcy Exemptions in New York . Also, because of the 2005 Bankruptcy Amendment Act, a consumer must demonstrate eligibility by passing the means test. The Means Test is Often the Key to a Successful Chapter 7 Bankruptcy Case . Chapter 13 Bankruptcy: This is a payment plan bankruptcy. It is most often used by homeowners who have fallen behind on their mortgages and need a payment plan to stop foreclosure and catch up with the missed mortgage payments. It is also used by those consumers who have relatively high incomes and do not qualify for Chapter 7 because they do not pass the means test. Even so, it is often possible to file Chapter 13 and pay credit card companies as little as 10%. Finally, Chapter 13 is used by consumers who have a large amount of non-exempt assets and want to keep and protect those assets. Chapter 11 Bankruptcy: This is a plan of reorganization and is usually used by businesses who desire to resolve their debts and continue in business. In addition, some individual consumer debtors who may not qualify for Chapter 7 or Chapter 13, can use Chapter 11 for consumer debts. Considering Bankruptcy? Then please read my post: Should I File Bankruptcy? What is a Conditional Order in a Chapter 13 Bankruptcy Case? Most consumers file for Chapter 13 bankruptcy relief to stop foreclosure. They use the Chapter 13 plan to pay back the mortgage arrears. If a debtor misses some payments after the bankruptcy is filed, the mortgagee will bring a motion to vacate the stay. When this happens, negotiating a conditional order with the mortgagee can often provide a reasonable resolution. Chapter 13 debtors sometimes fall behind with mortgage payments or trustee payments even when they have the best of good faith intentions. There are many reasons why a debtor can fall behind. Often unanticipated expenses — like a broken hot water boiler or covering the cost of a relative’s funeral — can mean the difference between being able to make mortgage payments or not. 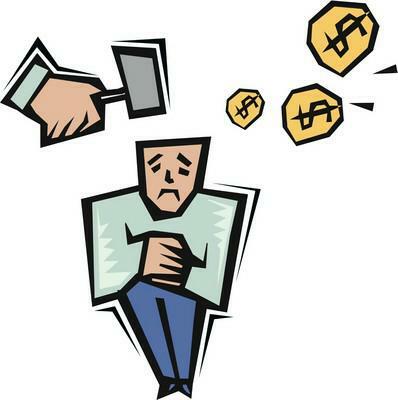 A debtor can also fall behind if his or her income is reduced as the result of sickness or loss of overtime. One way I often try to resolve the problem of post-petition mortgage arrears in my Long Island bankruptcy practice is to work out an arrangement with the attorneys for the mortgagee called a conditional order. A conditional order is basically an agreement that is “so-ordered” by the court, giving the debtor a certain period of time to do a particular act before the order can become effective. The conditional order typically provides that the debtor will cure the post-petition mortgage arrears by making extra payments for a period of up to six months. If the debtor fails to do so, the conditional order will provide that the bankruptcy stay will be lifted. Mortgage companies are not required to enter into conditional orders; however, most will do so. Conditional orders are only practical if the reason why the debtor has fallen behind is only temporary. If you are a Chapter 13 debtor who has fallen more than a month behind with your post-petition mortgage payments, you should immediately consult with your bankruptcy attorney to discuss resolving the problem — hopefully with a conditional order. Most Chapter 7 bankruptcy cases are “no asset” cases. That means that the trustee examines the debtor and closes the case without administering any assets. In these situations, the trustee has concluded that whatever assets the debtor has, whether they may include a house, car, money in the bank, or personal possessions, are either exempt, or have such a small non-exempt value that they are not worth administering. When a bankruptcy case is a no-asset case, the trustee will file a certification pursuant to Federal Rule of Bankruptcy Procedure 5009 indicating various information as part of the process of closing the case. This is called a “no asset report” and it means good news for the debtor, because the trustee has decided to close the case without taking any further action. Most Chapter 7 bankruptcy cases on Long Island are closed with no asset reports. The no asset report includes statements from the trustee that he has neither received any property nor paid any money on account of the estate; that he made a diligent inquiry into the financial affairs of the debtor(s) and the location of the property belonging to the estate; and that there is no property available for distribution from the estate over and above that exempted by law. In the report, the trustee further certifies that the estate of the debtor(s) has been fully administered, and that the trustee requests to be discharged from any further duties as trustee. Most Long Island Chapter 7 bankruptcy trustees file their no asset reports within a few days or weeks after examining the debtor at the meeting of creditors. If someone does not pay his or her debts, then it is usually just a question of time before the creditor brings a collection law suit. If the law suit is successful, then the court will grant the creditor a “judgment”. This is simply the official court decision indicating that the issues in the lawsuit were resolved. 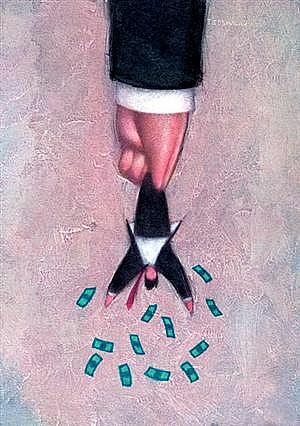 Judgments typically state a specific dollar amount that the person being sued must pay to the party who filed the suit. As Long Island bankruptcy attorneys, we often see clients who have judgments from credit card companies. If someone does not pay their credit card bill, then they will usually be sued. 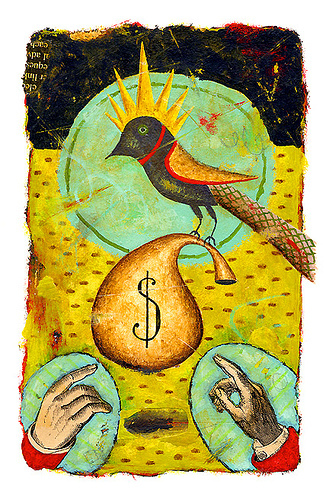 Can Judgments Be Eliminated In Bankruptcy? Judgments can usually be eliminated in bankruptcy proceedings. Judgments on credit card accounts are dischargeable. Judgments for medical debt, utility service and back rent can also be eliminated with bankruptcy. However, judgments for the payment of child support or delinquent income taxes cannot be eliminated by bankruptcy. Will Bankruptcy Remove a Judgment from a Credit Report? Since judgments are public records, they can be reported on a credit report by each of the three main credit bureaus. If you eliminate a judgment in bankruptcy, the judgment can still be reported since it is still a public record, although the credit reporting agency must indicate that the judgment was resolved through bankruptcy. This is one reason why it is advantageous to file for bankruptcy before a creditor can obtain a judgment. What Can Creditors Do With a Judgment? A creditor can use a judgment to enforce the debt. 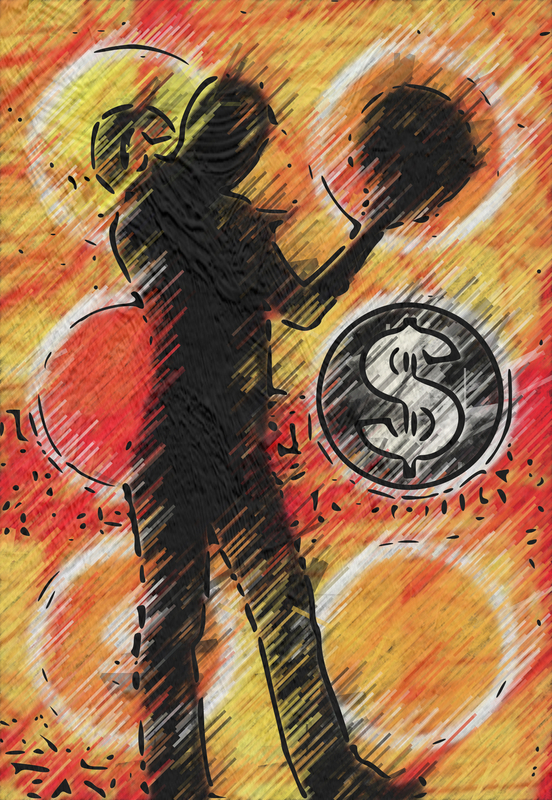 The creditor can garnish wages, freeze a bank account, and place a judgment lien on real estate. Any bankruptcy filing will automatically stop the enforcement of a judgment. When a debtor files for bankruptcy relief, the Office of the United States Trustee (the governmental agency that monitors all bankruptcies in this country) appoints a trustee to examine the debtor. The examination, which typically consists of asking the bankruptcy debtor questions in a hearing room at the Long Island Bankruptcy Court in Central Islip, usually lasts no more than 15 minutes. This is called the “meeting of creditors”. Most of these hearings are finished in much less than 15 minutes although some complicated cases may last as long as half an hour. In Chapter 7 bankruptcy cases, it is the trustee’s role to also determine if there are any non-exempt assets. If there are any, it is the trustee’s obligation to liquidate them. However, about 95% of Chapter 7 cases are “no asset” cases in which the trustee does not administer any assets. In Chapter 13 bankruptcy cases, which is a payment plan bankruptcy, the trustee collects the payments from the debtor and distributes them to the creditors. It is the trustee’s obligation to make sure the debtor has properly calculated the payment plan. Trustees will not come to your home and will not check your safe deposit box, if you have one. In most Chapter 7 bankruptcy cases, the only interaction the debtor will have with the trustee is the brief meeting of creditors at the bankruptcy court.